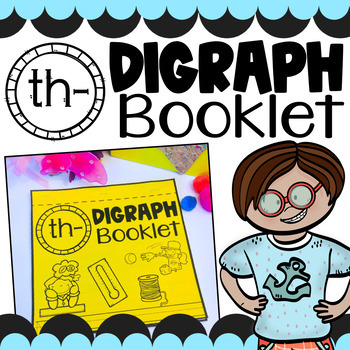 Students will get a lot of practice using and writing the digraph TH with this booklet! They will get the opportunity to trace the digraph TH, color it, write it, write words that have the digraph TH, and sentences that have at least one word with the digraph included. This is a great tool to supplement with your phonics and/or spelling instruction. This product can also be used for reinforcement for students still struggling with master the digraph TH. Booklet Pages Include: Cover page, digraph TH practice page, and a TH-digraph practice pages with words that include the beginning digraph TH. 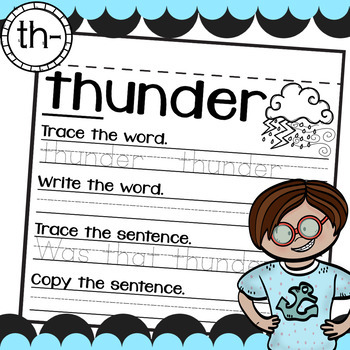 Words Included in the Booklet: think, thief, thorn, throne, throw, thumb, three, thread, thunder, thermos, thermometer. 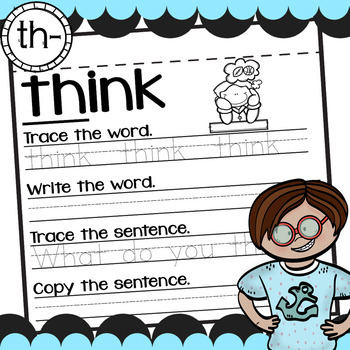 Please note: the words chosen for this booklet only include the beginning digraph Th.